Wyman-Fisher Funeral Home offers families the option of funeral pre-planning. “Pre-planning," also known as “pre-arrangement” simply means that you set up your funeral arrangements in advance before the need for these services. 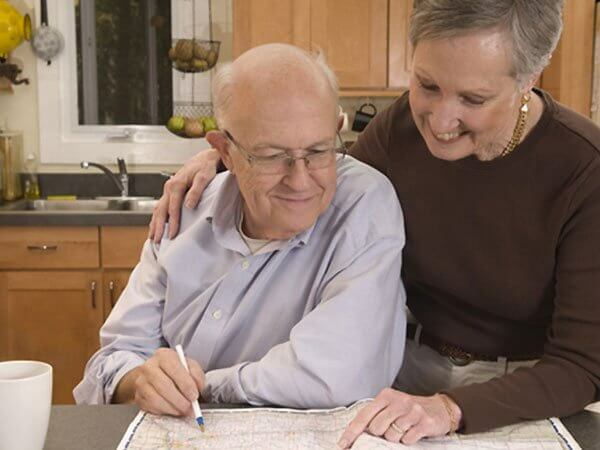 Pre-Planning can be as simple and informal as the act of writing down your preferences and sharing your wishes with a family member or funeral home. If you want to make more formal arrangements, Wyman-Fisher Funeral Home can assist you with setting up a pre-need contract that outlines the type of service and events you want for your funeral. We work with you to make sure you understand all your options. We help you select only the services you want. Reasons for preplanning one’s funeral includes peace of mind, relieving the burden on loved ones, or for purposes of SSI/Medicaid spends down. Many New York State residents prearrange and prefund their funerals as part of regular estate planning. There are several advantages in taking charge of planning your own funeral or memorial service. It lets you make your wishes known, so your loved ones won't have to guess. Pre-arranging can bring peace of mind to your family's decision-making. It relieves your family from the strain of making at least one set of decisions during a very emotional and stressful time. It gives you a chance to personalize your funeral service and makes it a "celebration of life." A pre-arrangement plan is portable. If you need nursing home care or other monetary assistance in the future, your pre-funded service cannot be taken away from you. Yet if you move, your arrangements can move with you to the funeral home of your choice. New York State mandates that prearrangements with New York State funeral firms must be Revocable, except for SSI/ Medicaid recipients. This means that all prearrangements (except when prepared for Medicaid spend down) may be canceled at any time prior to the death and the entire balance, including all accrued interest, must be refunded.New York State also mandates that preneed burial trusts for applicants or recipients of SSI/Medicaid must be irrevocable. This means that the prearrangements may not be canceled prior to death.For more information give us a call at 845-735-2161 or go to www.preplan.org.